For any person his fitness is quite important. Until you visit a doctor you can know of your fitness but it with smartphones and gadgets around, the definitions is changed completely. 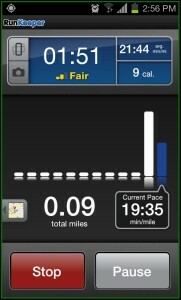 Users can know how much fit they are at particular exercises or while running using various applications, widgets and software’s. 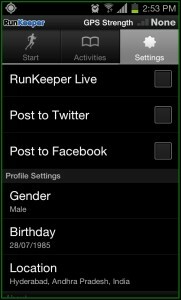 RunKeeper is an Android application which allows users to track their fitness activities like time, speed, pace, distance, calories burnt, heart rate and the route which you have traveled on map. 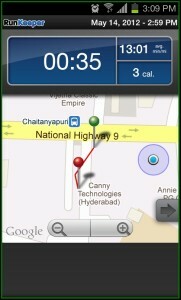 It make uses of the GPS signal to track all these health measurements. That means that your GPS should be ON why you are using this application. 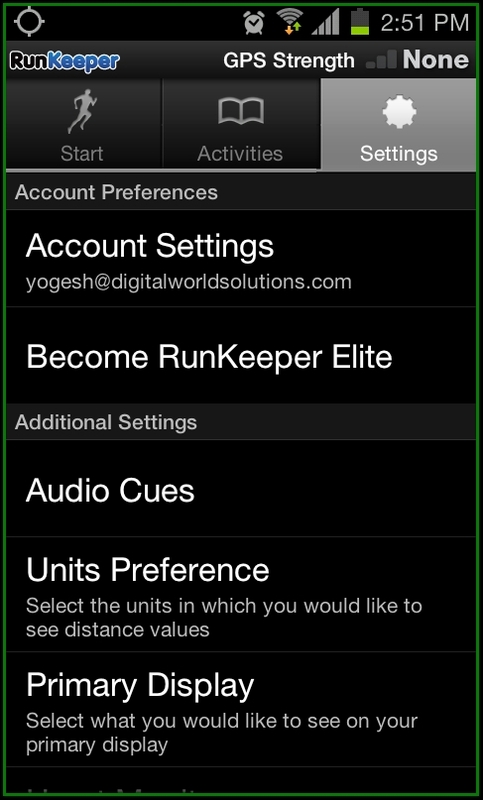 Once are through, you would see the Start, Activities and Settings tab on the top clearly visible. 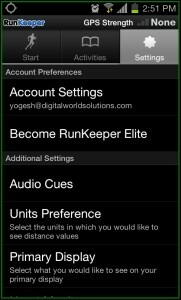 By default you will be on the Start tab with input type, activity type and coaching type provided to you. 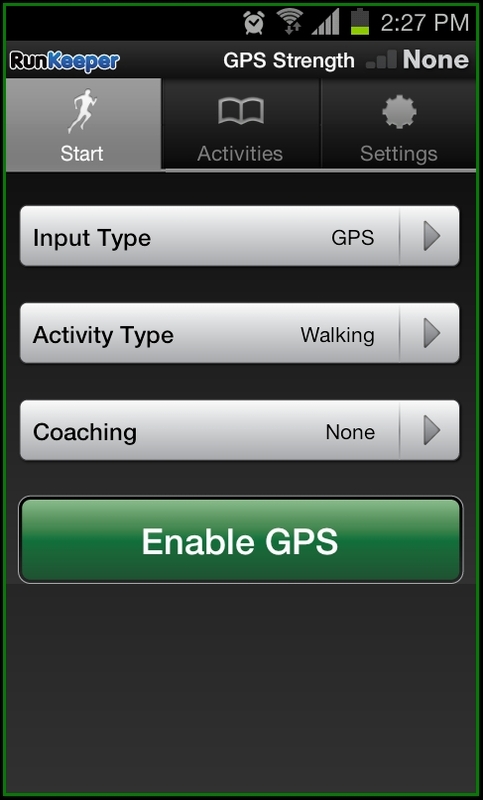 The GPS signal strength is seen on the top right side of the application and if you have poor signal then its not good to use the application. 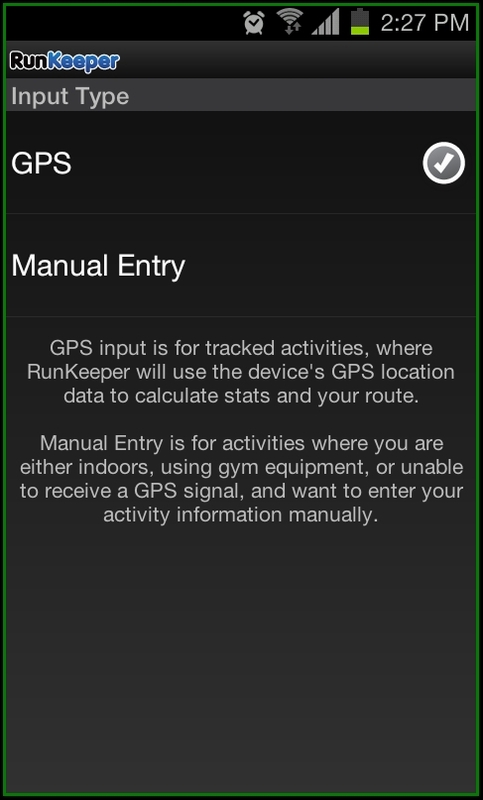 The Input type is via GPS or manual one, but I suggest you to keep it as GPS. 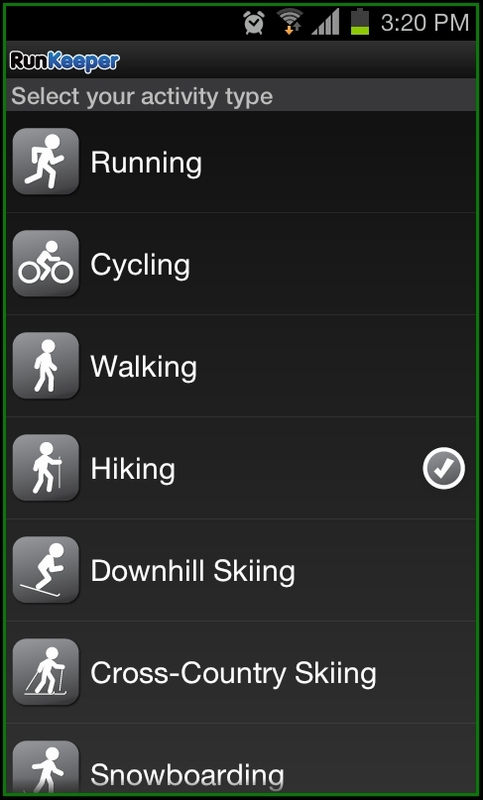 The Activity type can vary on your choice of walking, running, cycling, hiking, downhill hiking, cross country skiing, snowboarding, skating, swimming, mountain biking, wheelchair and elliptical. I prefer coaching as none. 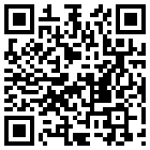 When you are done tap on Enable GPS and this will wait for the GPS signal. 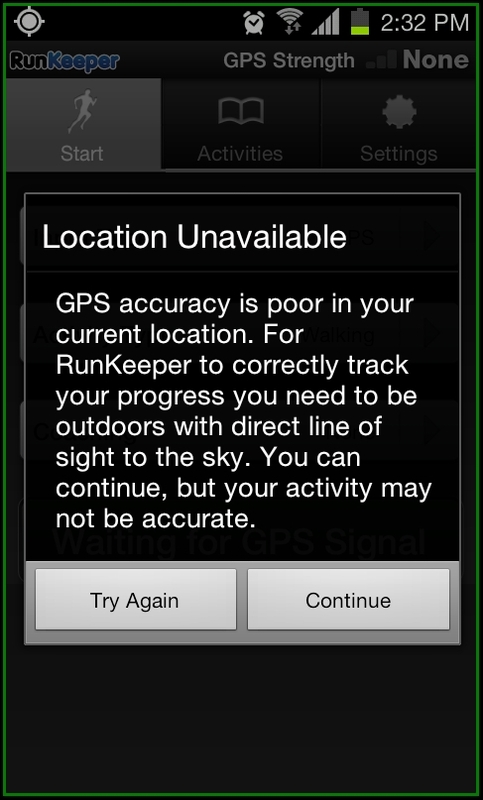 For some users you might not be able to connect with GPS signal. 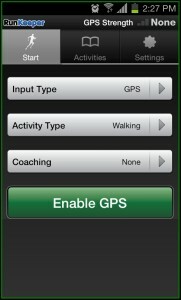 Try until you are connected with GPS. 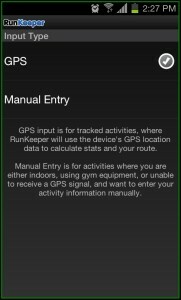 If you are unable to connect with the GPS data then user need to provide the manual entry data. 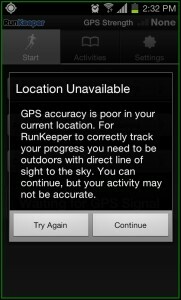 But when your GPS ins enabled the data is fetched automatically. 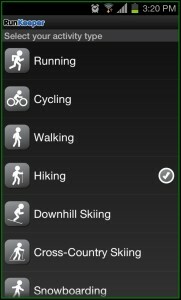 Among the activities users can select what kind of exercise they are particularly going through. 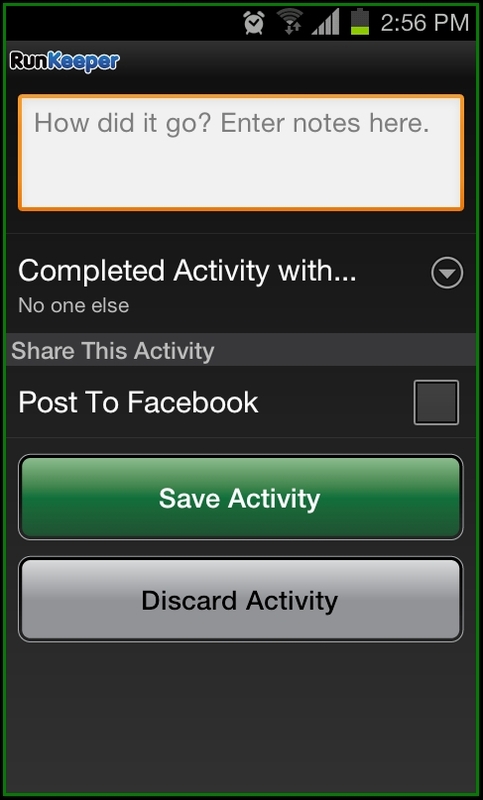 The Activities tab is updated when you go through particular instances. 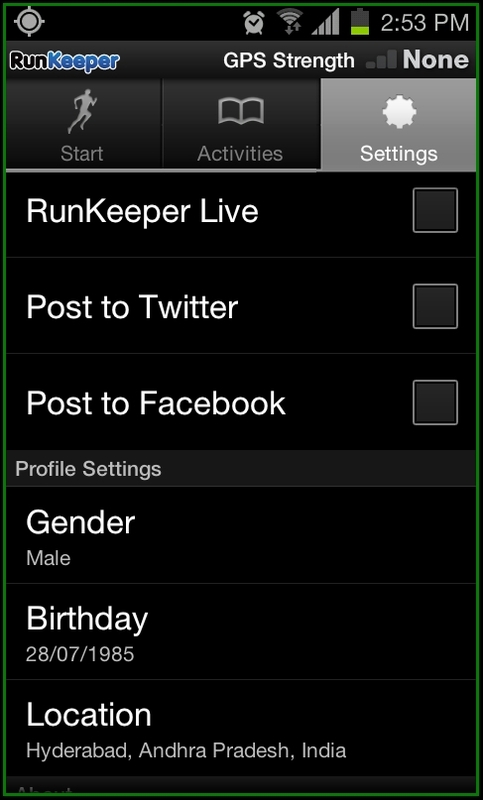 The Settings tab will allow users to go through various settings of preference, primary display, heart monitor, activity countdown timer, auto pause, post to Twitter, Facebook, Profile management and location. 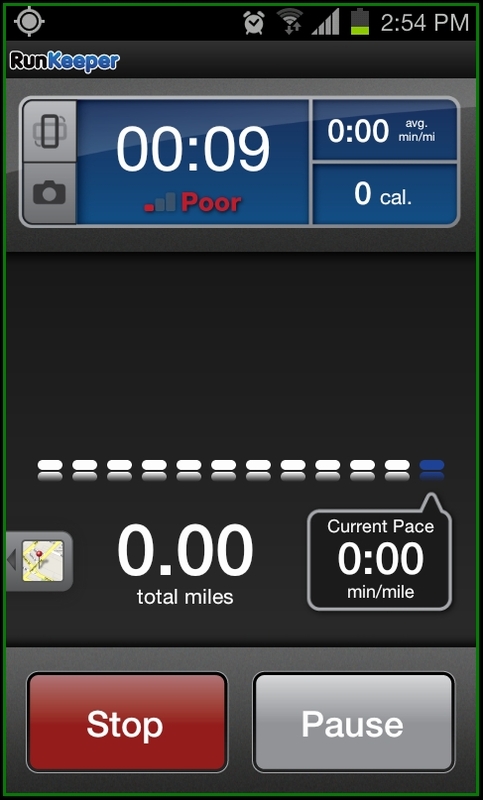 When you are ready tap on the Enable GPS. 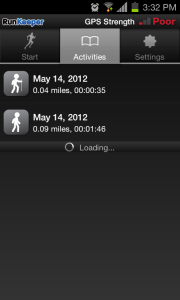 Then this will record activity for you showing you the time elapsed, your average miles per hour, calories burnt. There are few other options of take the screenshot, tilt horizontally or vertically and the option to see the maps. When you are done tap on Stop or when you want to stop the activity in the middle tap on Pause. The maps are shown with the distance that you travel and its quite amazing for you to know what is coming next in your path using the Google Maps. Once when you are done with the activity. 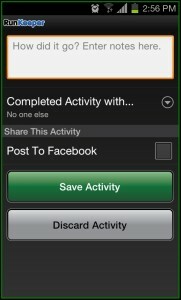 You will see option to enter how did the race go with you, post to Facebook, Save activity or delete it. 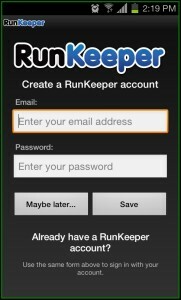 RunKeeper application can be easily downloaded from Android Apps Labs for free. 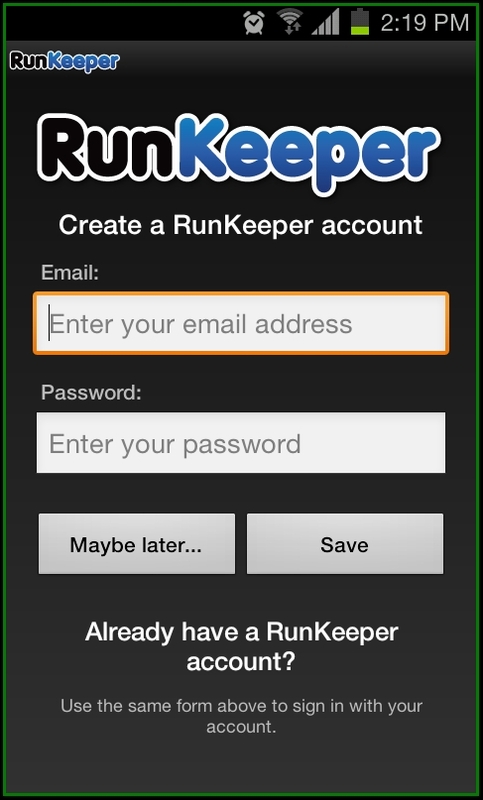 To download it directly on to your mobile phone, you need to visit the Android Apps Labs page listing of RunKeeper application from your phone’s browser and then click on Install to automatically proceed with the installation. 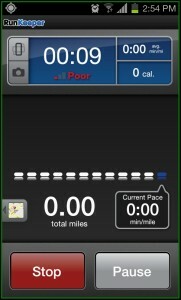 For the person who are particular much concerned about their health and wants to track their fitness then this is the right application for them to make it count for the free Android app. 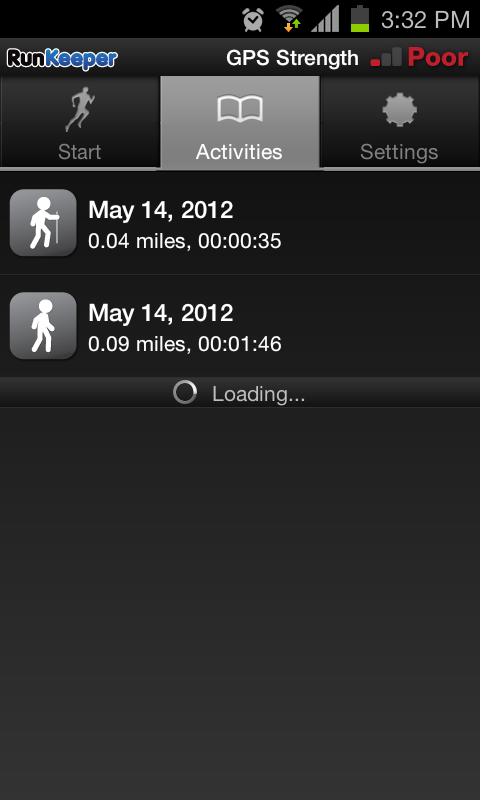 Its highly recommended for the users who jogg, walk or cycle daily to track their daily performance.